Manchester United skipper Wayne Rooney may finally leave Old Trafford for a mega money move to the Chinese Super League before the end of this February, according to a report from the ​Telegraph. The future of the club’s record goalscorer has been under scrutiny over the past few months, and the latest report suggest United would rather listen to a big money offer if it comes in before Tuesday, February 28 which is the final day of the transfer window in China. 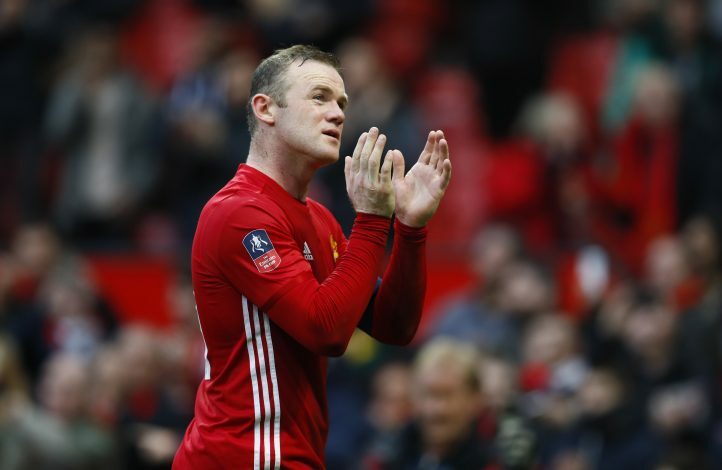 The Old Trafford hierarchy are keen to keep Rooney at least until the end of this season, though it’s believed the former Everton attacker will put an end to his Manchester United career at some point this year no matter what happens. But his departure could speed up if he is willing to accept a move to China over the next ten days. Rooney has 18 months left on his current contract. The veteran striker earns a hefty £300k-a-week, but his wages could skyrocket to as much as £32m-a-year if a Chinese Super League successfully lures him away from Old Trafford. The Red Devils captain hasn’t started a Premier League match since mid-December, and he has fallen down the pecking order while other attacking stars enjoyed regular first team football over the last few months. Rooney’s form had come in for scrutiny for the last few months before Mourinho decided to drop him, and the Old Trafford board are already rumored to be looking at potential replacements for their skipper. Manchester United are reportedly ready to offload Rooney because of the substantial transfer fee they could make, and for the amount of money his departure would eventually free up on their wage bill, but there is a strong possibility that they will not force Rooney out against his will.